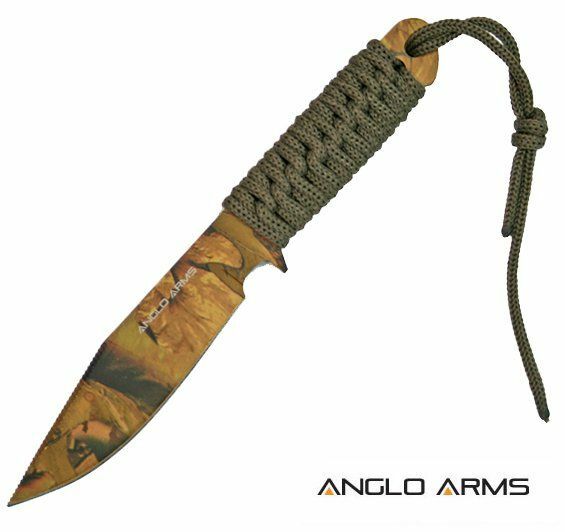 ANGLO ARMS Paracord Survival Knife 7 Camping Outdoors Fishing - Perfect Gift. 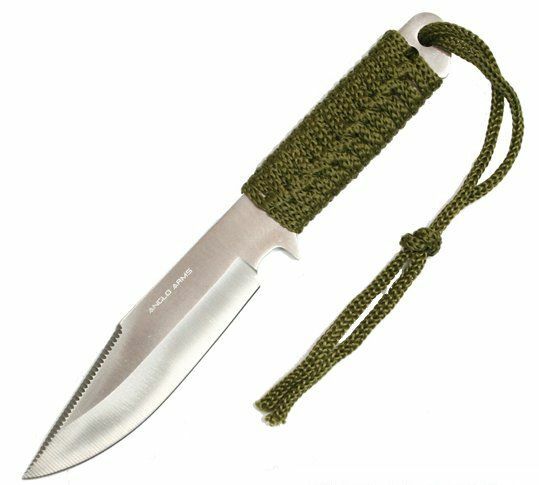 ANGLO ARMS Paracord Survival Knife 7" Camping Outdoors Fishing - Perfect Gift. 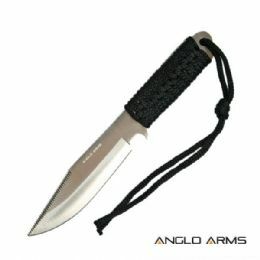 This Anglo Arms Paracord Knife – Black is a good survival, outdoor, or hunting knife. It weighs 140 grams, with a blade length of 3.58 inches and an overall length of 7.5 inches.. It is lightweight, so carrying it or using it feels comfortable. It may be smaller in size than many paracord knives, but it does its job well. The Anglo Arms Paracord Knife – Black is multipurpose. In fact, it is perfect for camping and other outdoor activities. This knife also comes with a nylon sheath for safety and maintenance purposes.